Nestled between India and Tibet, Nepal offers three very distinct travel experiences: exploring the ancient traditions of Buddhism and Hinduism in the Kathmandu valley, wildlife safaris in the lush forests of Chitwan National Park, and taking in the grandeur of the majestic Himalayan Mountain Range. Kathmandu is the capital of Nepal—its largest city, major cultural attraction, and the launching point for tours elsewhere in the country. It’s a busy, lively place with a history that reaches back over 2,000 years. Compared to the abundance of skyscrapers crowding other Asian capitals, Kathmandu retains a charming, old-world feeling with its low-rise cityscape. Even the tallest buildings are 10 stories or shorter. Nepal has a small but impressive collection of luxury accommodations, including luxury safari lodges, historic heritage hotels, cozy mountain lodges, and even holistic wellness retreats. The Kathmandu Valley encompasses the capital city as well as Bhaktapur and Patan, formerly ancient rival cities which are now part of the metropolitan region. Historically, the people here were known as Newars and famed for artistic ingenuity and craftsmanship. Some historians credit Newari architects with having invented pagoda architecture, which later became ubiquitous throughout Asia. 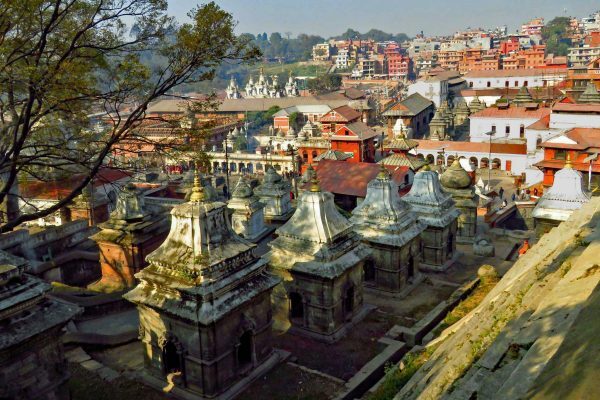 The Kathmandu Valley is so rich in cultural history that the entire area was designated a UNESCO World Heritage site in 1979. 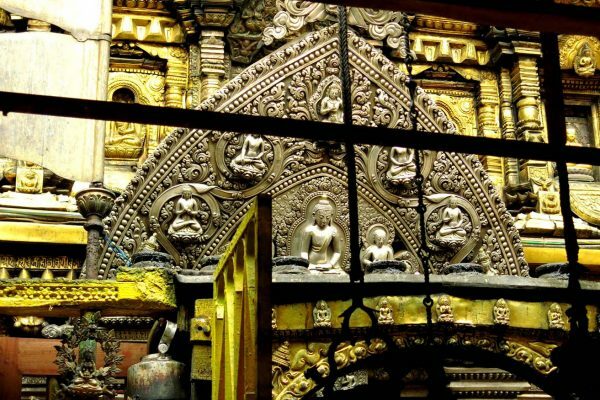 Patan is one of the finest showcases of Newari design. Hindus and Buddhists coexisted peacefully here, building magnificent monuments, temples, and courtyards. 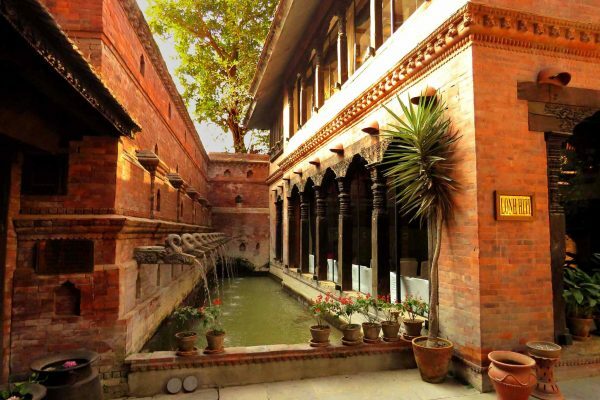 The Patan Museum, housed in a former royal palace, displays traditional sacred icons of bronze and copper repoussé. 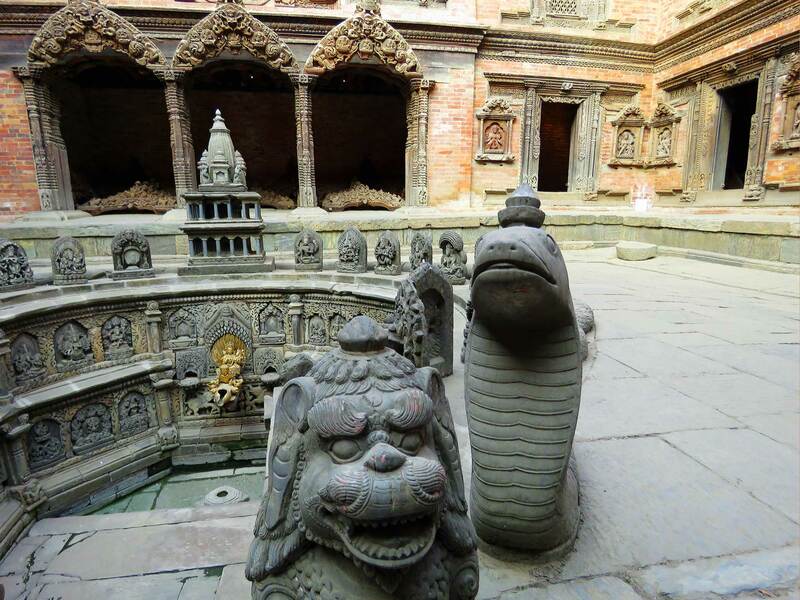 The metalworkers of Patan were considered masters of the craft. 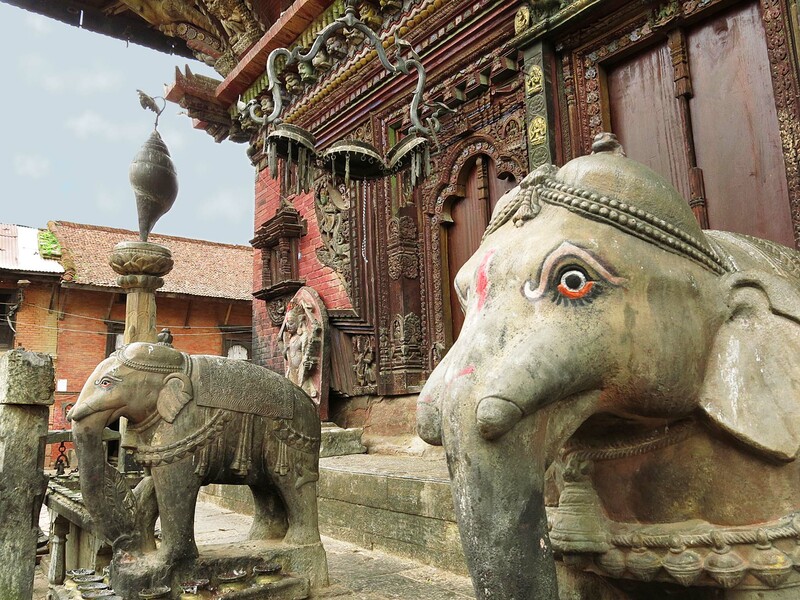 Bhaktapur, known as the “city of devotees,” was Nepal’s ancient art capital, dating back to the 10th century. 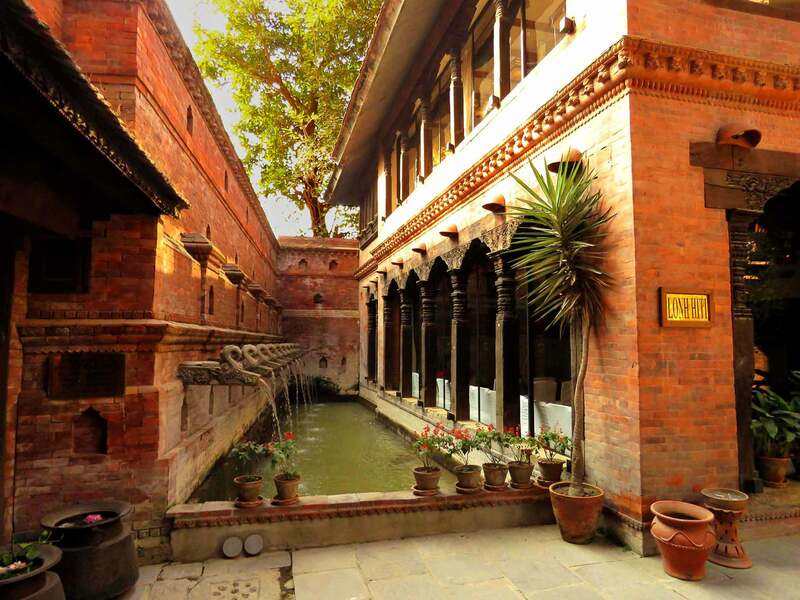 It is an open-air museum of Newari art and architecture, celebrated for its weaving and pottery. The center of the town is open only to pedestrians, and the traffic-free zone is a pleasure to explore. 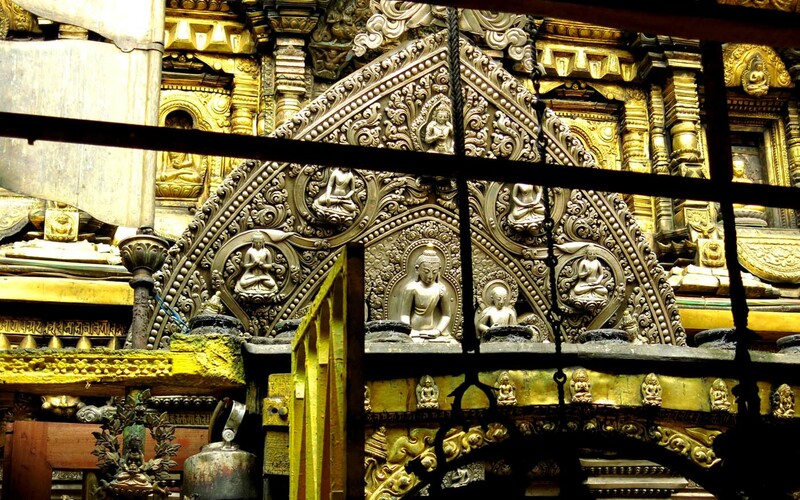 The intricately carved wooden window-frames are often older than the buildings they embellish. 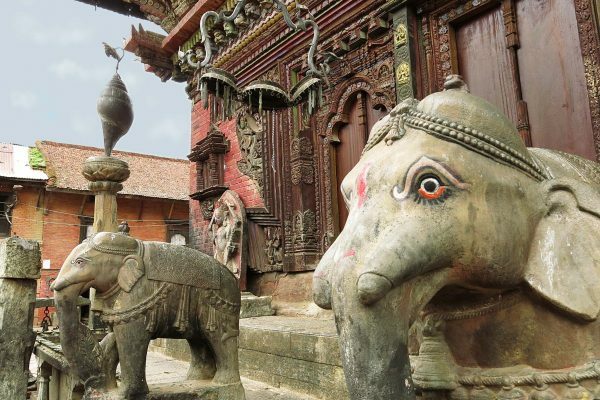 While Bhaktapur has suffered significant earthquake damage over time, great strides have been made in recent years to reconstruct damaged temples and preserve the city’s unique atmosphere. The Boudhanath Temple has Nepal’s largest stupa, a striking design with the wise eyes of the Buddha peering from all four sides of the gilded central tower. For centuries, the temple has served as a pilgrimage point for Tibetans. Today, it is the center of the Tibetan community in Kathmandu. In the surrounding area, refugees sell Tibetan handicrafts and carpets. 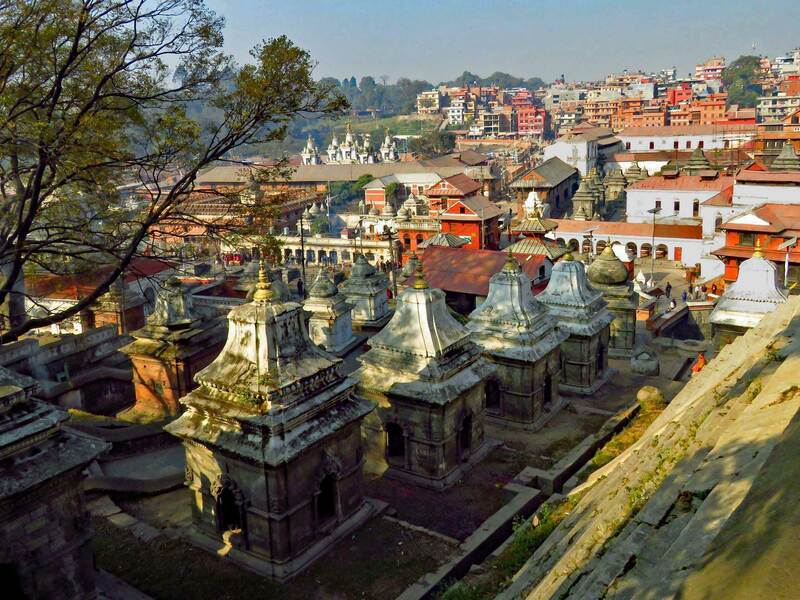 Considered an auspicious place for cremation, the Pashupatinath Temple is the most prominent Hindu temple in Kathmandu. 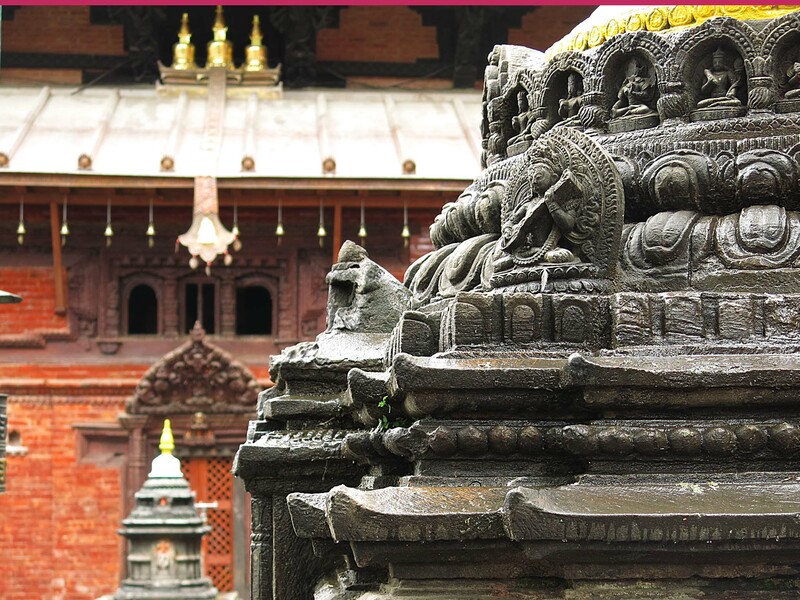 The ancient temple complex straddles the Bagmati River, which feeds into the holy River Ganges in India. Dedicated to the god Shiva, it is revered as one of the holiest sites in the Hindu world; only Hindus may enter the temple itself. The grounds are a bustling spot for pilgrims, devotees, mourners, beggars, and tourists. Dreadlocked and distinctively-attired ascetics, called sadhus, live on the grounds and will gladly pose for photographs in exchange for a donation. Since the fifth century, Swayambhunath, appropriately nicknamed the “Monkey Temple,” has rested on a hill above Kathmandu. Around the central main stupa sit smaller temples, shrines, prayer wheels, and prayer flags. The complex is overrun with mostly friendly macaque monkeys, considered holy by the Buddhists of Nepal. The monkeys make this a popular site for visiting families, keeping visitors amused on the 365-step climb to the temple. A brief, 20-minute flight from Kathmandu brings you to Bharatpur, the gateway to Chitwan National Park. 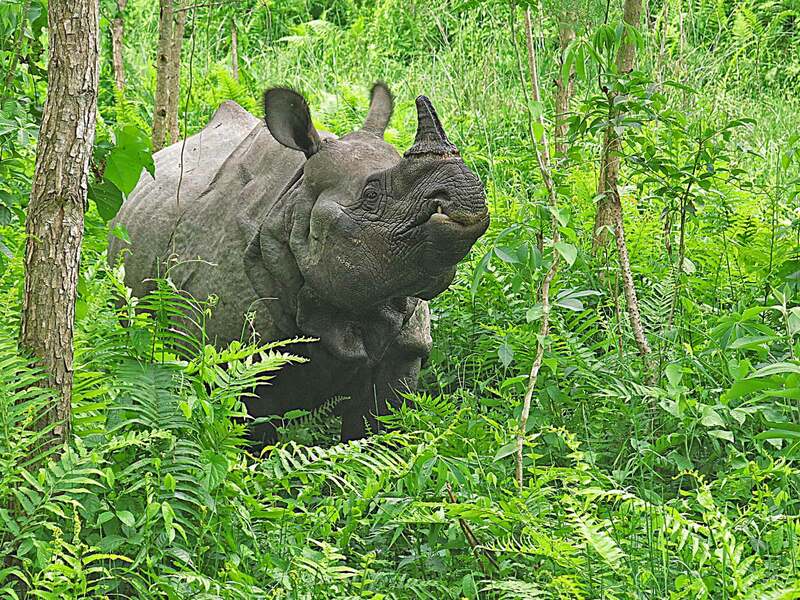 This lush, World Heritage-listed reserve protects one of the largest groups of endangered one-horned rhinoceros left in the world. Other wildlife species there include Rhesus monkeys, hanuman langurs, several types of deer, mugger crocodiles, and Indian porcupines. The bird population is diverse, with more than 500 species in residence or visiting during migration. Famously elusive Bengal tigers also live in Chitwan, though sightings are extremely rare. The legendary Mount Everest draws all sorts of visitors to Nepal, some just wanting a scenic view of Sagarmatha (its name in Nepalese) rising from a sea of snowy peaks and the most ambitious prepared for a two-month expedition to the summit. 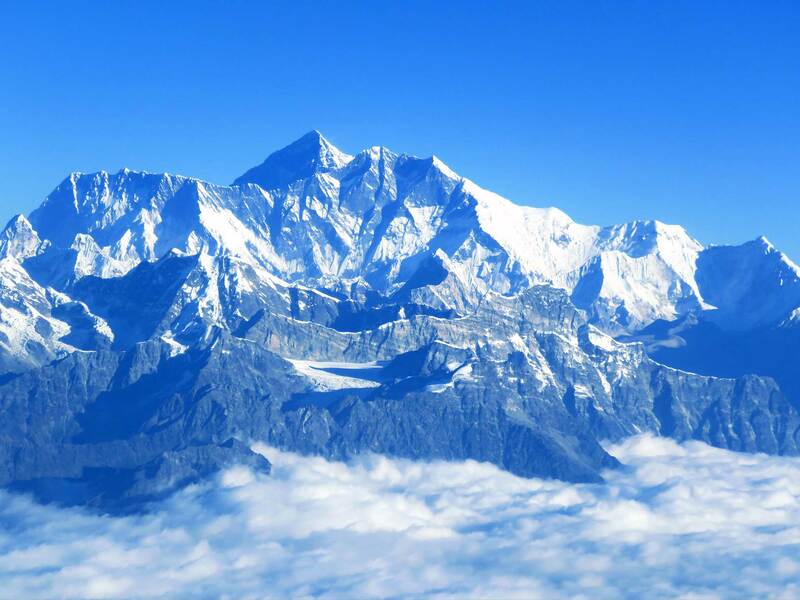 The least strenuous, but still thrilling, way to see Everest for yourself is an early-morning scenic flight along the Himalayan range, with Mount Everest serving as the grand finale. One by one, passengers are allowed into the cockpit to snap a photo through the front of the plane. 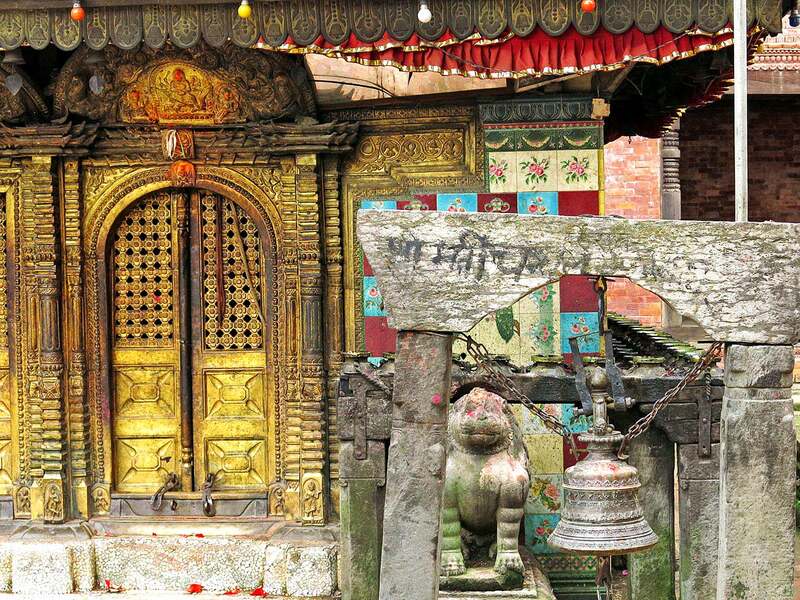 These round-trip flights depart daily from Kathmandu. 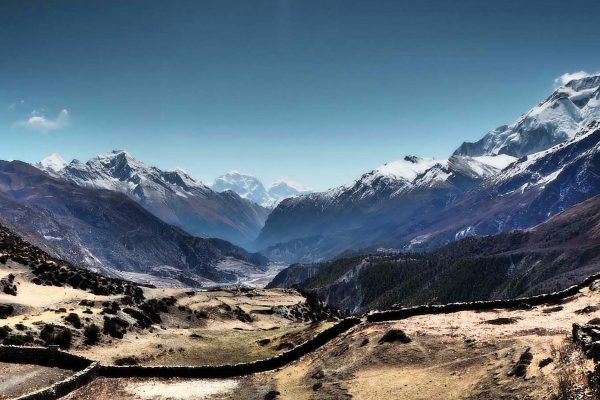 For an even closer look, without the exertion of trekking, we can arrange a one-day Mount Everest base camp helicopter tour for breathtaking aerial views of Everest and the surrounding peaks. Located outside of Bhakatpur, the hillside town of Nagarkot is especially known for views of spectacular sunrises over the Himalayas on clear mornings (mostly from October through April). There are hiking trails in the area, as well as a few moderately priced hotels. 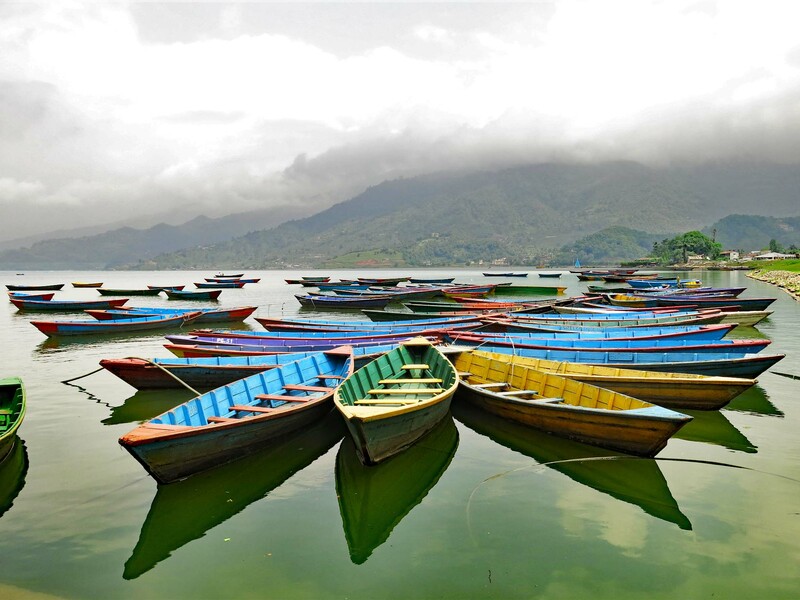 In central Nepal, Pokhara is the starting point for trekking the Annapurna Massif, a mountain range of the Himalayas, and a lovely, captivating destination in itself. 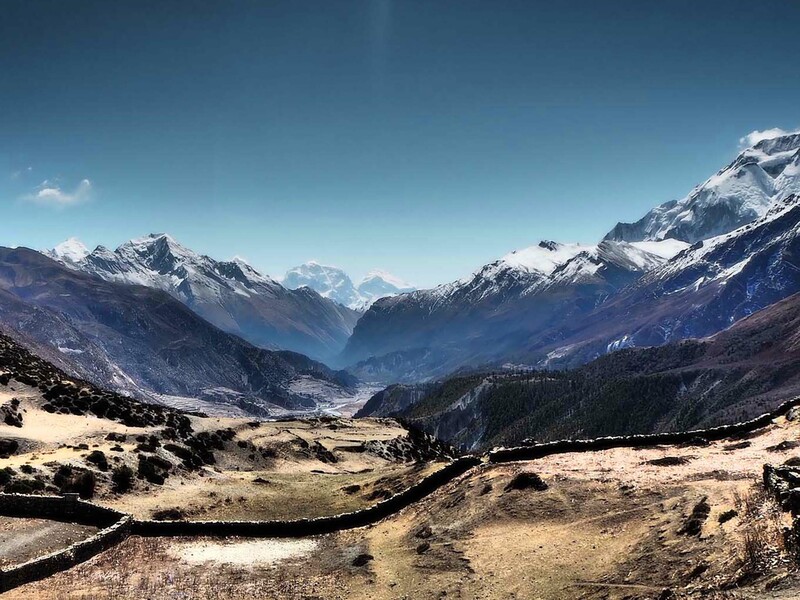 Whether you are looking to for a gentle walk to take in scenic Himalayan views, a four-day trek with nights spent in mountain lodges, or the full, three-week Annapurna Circuit trek, we can plan it for you. 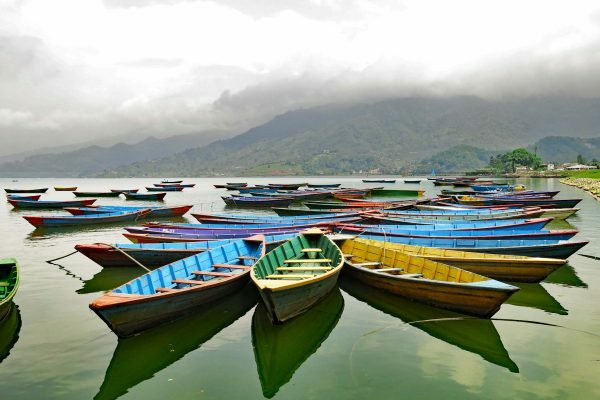 The lovely Phewa Tal (the second-largest lake in Nepal) is the focal point of Pokhara. When the sky is clear, its waters reflect the surrounding forest and mountains. Colorful boats take visitors around the lake and to the island temple dedicated to Goddess Barahi. The town’s lively streets are lined with restaurants and shops. Adventure travelers also flock here for mountain biking, kayaking, paragliding, and rock climbing. There’s even a golf course with Himalayan views. Other points of interest are Devi’s Falls, the Gupteshwor Mahadev Cave, the Gurkha Memorial Museum, and the World Peace Pagoda. Available for purchase in Kathmandu City and Patan, metal singing bowls produce sonorous bell-like sounds when a wooden stick is rubbed around the rim. The resulting sound vibrations are believed to have healing properties. Hand-hammered bowls are the most prized. Several shops in Kathmandu sell handicrafts made by Tibetan Refugees living there. Look out for intricate, hand-knotted rugs, exquisite sterling silver jewelry, and Buddhist thangka paintings. 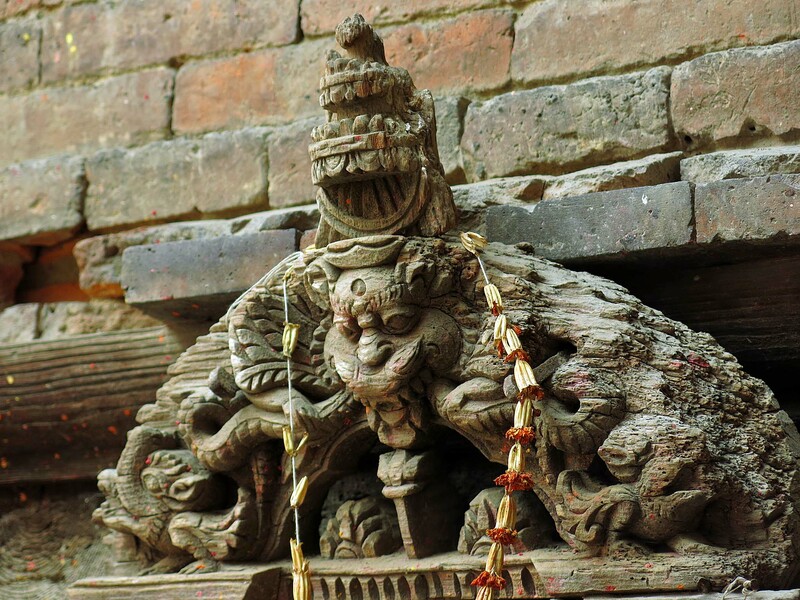 Bhaktapur has small shops that sell decorative terracotta pottery, colorful masks of deities, and miniature carved wooden doors. If you plan on trekking but are loath to travel with bulky gear, shops in Pokhara and the Thamel area of Kathmandu sell fleeces, gloves, and boots, as well as camera equipment. Dhulikhel is a mountainous town outside of Kathmandu, popular for its Himalayan views and clean air. A holistic wellness resort here treats guests to yoga, massage, meditation, and unique Himalayan salt treatments. The town of Pokhara has several yoga centers and meditation retreats. Authentic Indian Ayurvedic treatments can be found here. NOTE: In April 2015, Nepal was hit by a devastating earthquake. 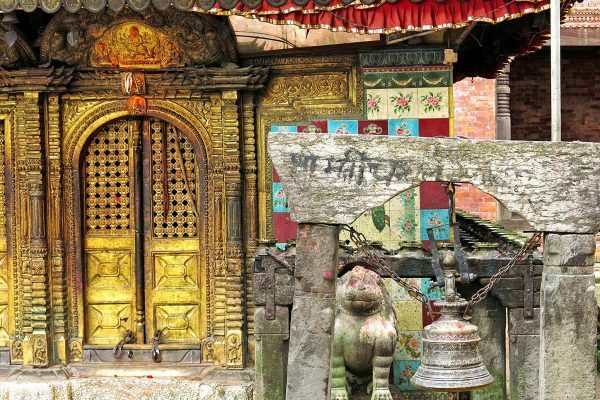 After recovering from the immediate crisis, the reconstruction began on the hundreds of temples, monasteries and shrines damaged or destroyed by the quake. 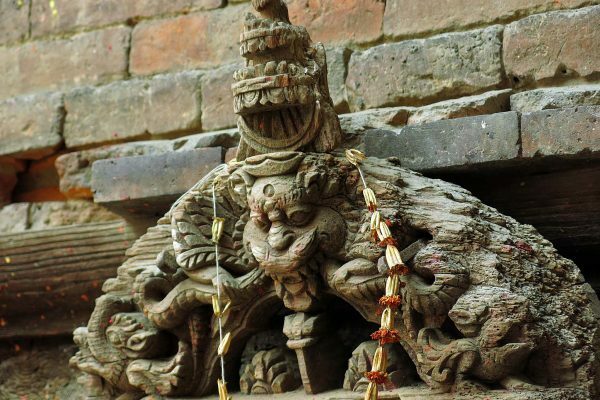 As of January 2018, nearly 100 temples in the Kathmandu Valley have been restored, and the work will continue for the next few years. Most major sites have reopened to the public and tourism is on the rise again. 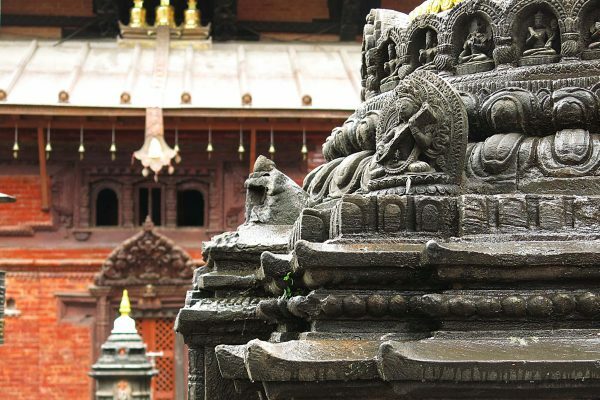 Taking a tour to Nepal isn’t just a fascinating experience for travelers, it’s also crucial to the country’s recovery. Customized tours in Nepal starting from US$600 per person/per night. Given its location that caps the northwestern flank of the Indian subcontinent, travel to Nepal combines quite well with visits to India and Bhutan. 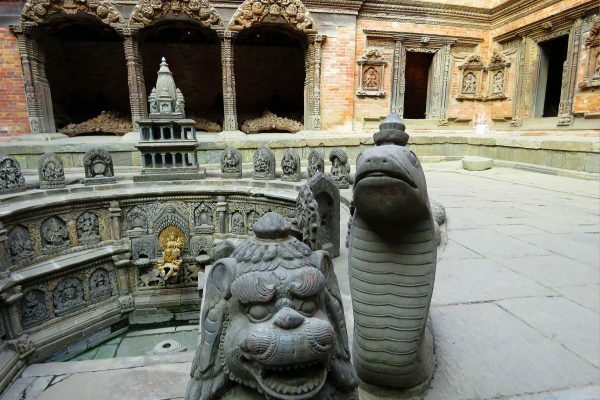 Nepal is also one of two gateways for tours to Tibet (along with Chengdu, China). Nepal’s only international airport is Tribhuvan, located conveniently within Kathmandu. Nepal has a small window of ideal weather conditions for visitors looking for stunning mountain views: from late September to early December, when the temperatures are cool and the skies mostly clear. During this peak season, average temperatures in Kathmandu range from 59°F-75°F (15°C-24°C). 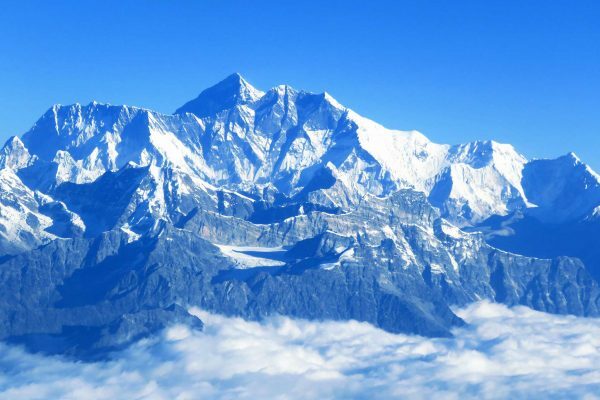 The lowlands in the south (known as the Terai region) are usually warmer, while temperatures in the northern mountainous region fall with climbing altitude. Temperatures in Nepal vary wildly, depending on location. The religious festivals of Dasain (October 16–21 in 2018) and Tihar, called Deepavali in India, (November 7–9 in 2018) take place during peak season. Temperatures drop from late December, but it is still dry, with fewer tourists in January and February. During this winter season, average temperatures in Kathmandu range from 48°F-54°F (9°C-12°C). 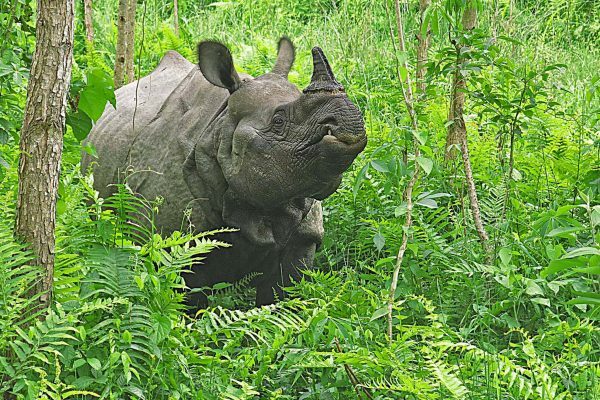 For those who prioritize viewing wildlife over mountains, the higher temperatures and dwindling water reserves from March through May make this the best time to tour Chitwan National Park. Rhinos are seen frequently, and this is the most likely time to glimpse an elusive tiger. Rhododendrons are also in bloom during these months, covering hills with pink, purple, and red blooms. In most of the country, late March through June is increasingly warm and humid as rain showers intensify leading to the start of monsoon season in June. During this time, average temperatures in Kathmandu range from 61°F-73°F (16°C-23°C). The monsoon season lasts from June through early September. During the monsoon, average temperatures in Kathmandu range from 73°F-77°F (23°C-25°C). Foliage is at its lushest and greenest, thanks to the rainfall, and the countryside is vibrant with flowers and butterflies. It’s a fine time for cultural touring, if you don’t mind a bit of rain. Hiking is discouraged, however, as leeches and landslides are common.